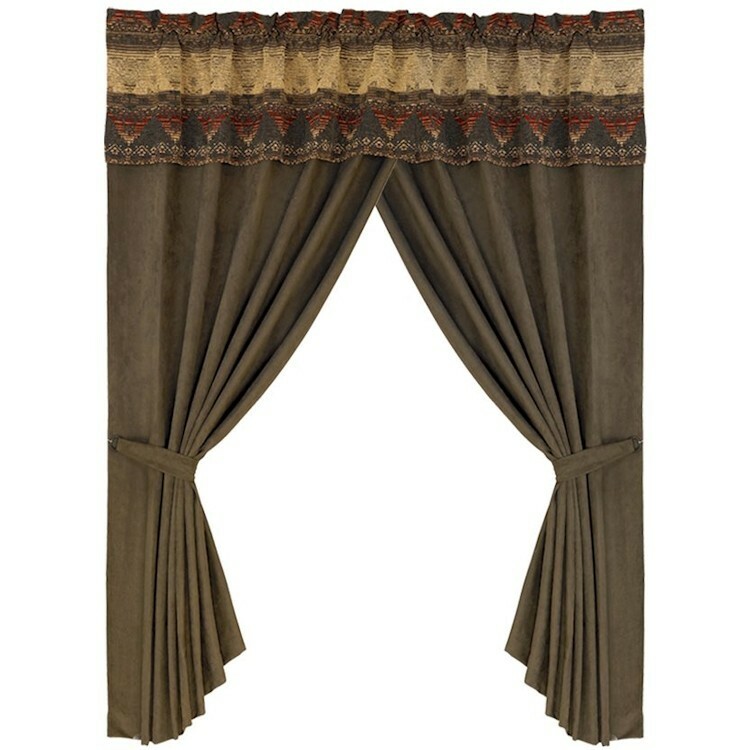 The Sierra Drapery feature an attached valance in the same beautiful design fabric as the comforter over chocolate brown faux suede. The coordinating tie-backs provide a complete window treatment. Size: (2) Panels 48" W x 84"